Pam has now posted the January events on “3 Events” above. The first two columns are the most interesting. It seems like we now have over 8,000 people who have logged on to our website so know who we are. Although we are only getting an average of 1500 returning visits on a monthly basis throughout the twelve months and that this mightn’t look quite so good, it should be noted that these figures are certainly better than the 500 readers we thought we had previously. Three times as many in fact. There were further breakdowns and I show some interesting points below. The time of day we have the most visitors on our website is three o’clock. Both am and pm!!! I’m fast asleep at 3:00am! The busiest day seems to be Wednesday. 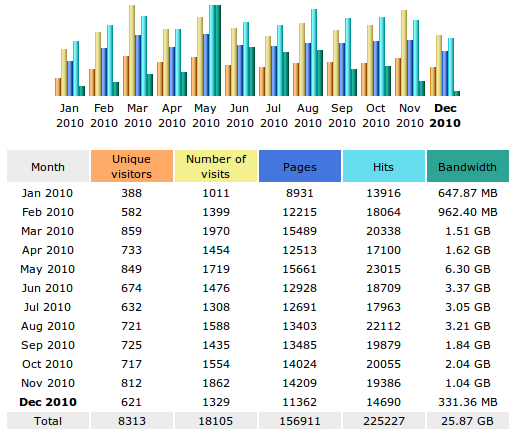 The busiest month with the most unique visitors is March. But the interesting thing is, the 1st of the month is still the busiest day, even though we now publish on an almost daily basis. This is probably because I still send a link out on the 1st of each month so I shall continue to do so. A merry Christmas to all our readers. I do know that even if this offends our thought police, other religions, including Jewish and Muslims, do not become offended by this, and to them I say, enjoy this forced break and make the most of it. We’ll all be back on the grindstone in January! I’ll see you all in Brent Cross tomorrow! 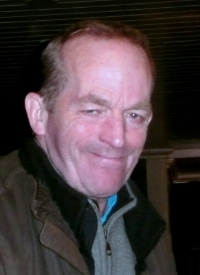 Andrew Ampers Taylor – publisher. A simple tip, but so useful. When, at one of those functions where the staff are ordered to go around topping up so the management can sell the organisers more bottles, someone comes to top up your glass, place your hand over the glass and politely decline. When your glass is empty is the right time to accept a refil, and only then. This way you will always know exactly how much you have drunk. The Tally Ho, a Weatherspoon’s pub in North Finchley, held a charity weekend for ‘Help for Heroes’ on 11th December. 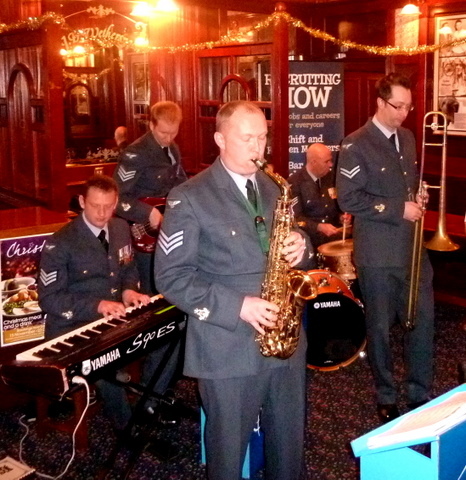 A live jazz band, ‘The Squadronaires’, a quintet of Royal Air Force musicians from Northolt, provided the music playing a selection of 40’s style jazz. They were fantastic, and in my opinion deserved a much larger turn out than they got. 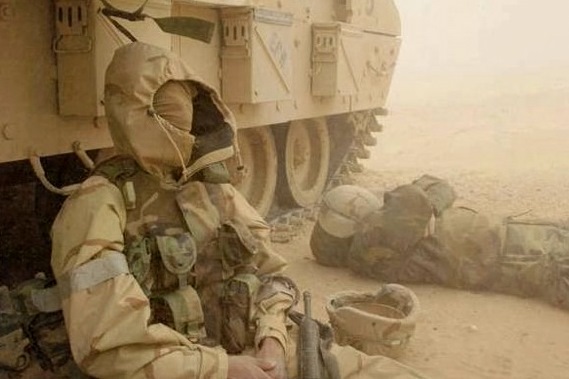 Help for Heroes is a registered charity that includes helping armed service personnel wounded or maimed on duty or suffering from combat stress. When an event is held to raise money for the charity, they will normally send a representative to sell merchandise on a stall. The money raised by selling merchandise pays for the overheads for the charity, paying wages etc. Any other money raised goes directly to the charity’s good causes. In the last three years, Help for Heroes has raised more than £80 million. 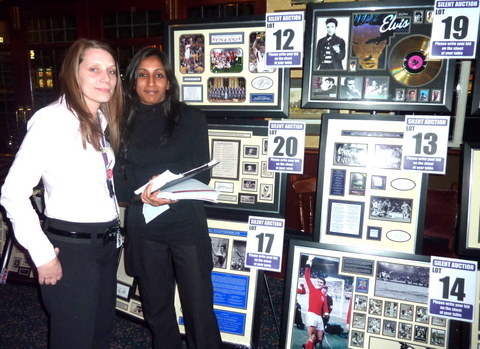 NPC Promotions of Potters Bar held an auction of football and celebrity framed posters, many of which were autographed. The auction appeared to be a bit disastrous with no-one bidding, but to compensate a silent raffle was held which was much more successful. Auction items at the Tally Ho Help for Heroes night. I would like to see, in the future, a collective Website about Finchley with a history tab, a tab for the newspaper, a tab for all the not-for-profit clubs and societies where they all get a single page, with links to pages on their own website. A sort of Home Page. We could have a section for small businesses as well. Then we could add everything to do with Finchley onto the site so it becomes a “one-stop-shop” for everyone who wants to know anything about our “village”. We will also need to find someone who understands and can prepare a website with Drupal, a highly featured and by its nature, highly complex CSM language. If any of you know anyone who writes complex websites, ask them if they use Drupal, and if so, perhaps you can ask them to join us. Dancing on ice is about to hit our screens, but I want to talk about walking on ice, especially for the older residents of Finchley as I am one of them and like you, my bones are more brittle than they were in my youth. First of all, wrap up well so if you fall you are less likely to break a bone with all that padding. In addition, wear thick leather gloves if you can as should you fall forward, you can use your hands to break your fall without grazing them. The walking motion causes one to slip. Rather pick up your foot, place it in front of you keeping it stationary, and then pick up your other foot and place it in front, keeping that stationary before repeating the procedure. You might look slightly odd, but a proper walking motion where the toes push you forward can cause you to slip. This procedure is not foolproof but you might fare much better.